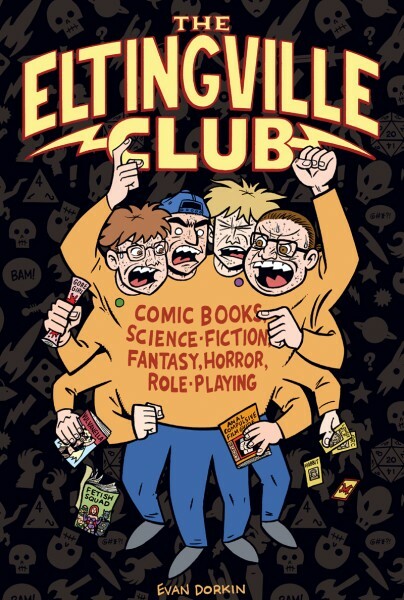 Twenty years after I vomited up the first Eltingville Club strip in a no-talent fit of anger the entire bloody mess is poised to be collected by Dark Horse this October in an over-sized hardcover matching the Milk and Cheese and Beasts of Burden books. There's never been a domestic collection of this material before, so, hey, that's something, I guess. $20 bucks for the works, including three Eisner Award-winning train wrecks of fandom gone wild, the color zombie crawl strip from DHP/HOF, the one-off alternative/indy Northwest Comix Collective piss-take, some notes about the 2002 Welcome to Eltingville Adult Swim pilot, and -- if things work out -- some production and storyboard art done for the pilot by me and Stephen DeStefano. So, there's that. Cover by me and Sarah Dyer.